Angela Furness is barely a teenager, but already she has serious anger and behavioural issues and absolutely hates living with her Mother. She is a bully, but hates herself, and her life is about to change dramatically for the worse. Nicholas Dean is a former successful actor who now teaches drama workshops in schools to make ends meet. His wife is the breadwinner in the relationship and sometimes Nick feels inadequate. His feelings of inadequacy grow as his wife negotiates a successful account in her role. But would this be enough to make him do something terrible? This is very much a he said/she said novel, told from different perspectives and backgrounds, and questioning every little thing about every character all of the way through. Your suspicions will lie with each character in turn as they reveal something unsavoury about them as an individual. Little Liar is an interesting novel as it is very hard to feel sympathy for Angela most of the way through it, due to her behaviour, even though you instinctively know that she has gone through something so terrible that you can't even begin to comprehend it. 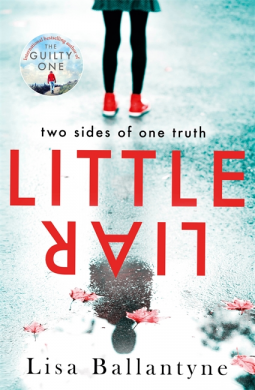 Little Liar touches upon some very difficult subjects with sensitivity and is a very thought provoking and well written novel, and I look forward to the authors next! Little Liar is available from 2 August 2018.